Andrew Smith is the author of two books, The Deliberative Impulse (Lexington Books, 2011) and A Critique of the Moral Defense of Vegetarianism (Palgrave Macmillan, 2016). He's currently working on his third book, on Daniel Quinn’s philosophy. 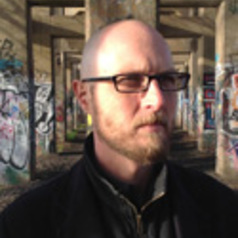 Quinn is a novelist, cultural critic, and theorist of ecological and social sustainability. He's also working on articles in which he assess what facing up to ecological catastrophe should entail and the ethical bases for resisting the main protagonists of ecocide. His recent publications have appeared in the Journal of Human Development and Capabilities, Politics, Philosophy & Economics, the Journal of Value Inquiry, Philosophy & Social Criticism, and the International Journal of the Philosophy of Religion.